ARC'S continued success is a direct result of our strict adherence to schedules and the establishment of long and productive relationships. In our effort to provide value added services and to establish superior safety and performance standards, we have achieved a high level of resourcefulness in our refusal to sacrifice quality or value. As evidenced by our growing and repeat client list, our "no-nonsense" and "straight shooting" corporate personality is our most reliable and viable asset. Our values form the framework of our business, no matter the size of the project. 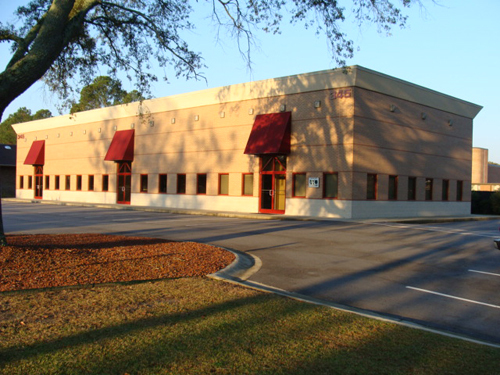 With our office location in Fayetteville, North Carolina, ARC Building Concepts provides quality construction services in both North and South Carolina. We have vast and multi-faceted experience in the building of restaurants, convenience stores, banks, schools, medical and dental offices, as well as housing. We also specialize in value engineering, to include the construction of pre-engineered buildings, provided by CECO Metal Building Systems. Our experience is not only in the area of new construction, but also in renovation, additions, repairs and remodeling, as well as emergency construction services. Our philosophy of partnering with our client has proven to be successful and rewarding, whether it be a bid, a negotiation or a design/build arrangement. At ARC, we are proud of our motto: "Building Excellence"
From concept to completion, Ceco understands exactly what it takes to make a building project successful. We place a high value on the customer relationships we build. And we have the knowledge, experience and strength to create reality from vision. That’s why Ceco is trusted with such a wide range of projects, including many of our nation’s government buildings and schools. 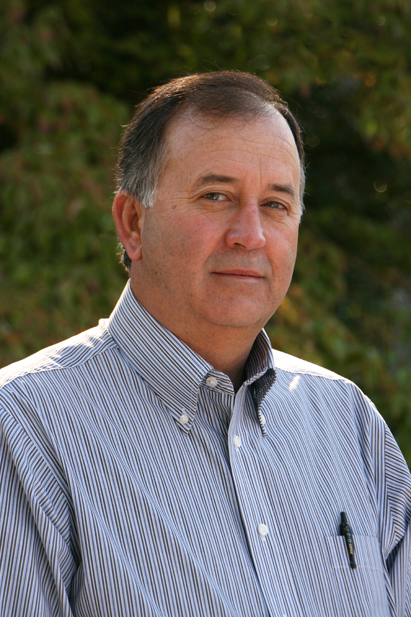 I have worked in the field of commercial construction for over 30 years. During those years, I acquired extensive experience in the area of commercial construction, which has included the building of restaurants, churches, schools, banks, convenience stores and office buildings. From 1982 through 1999, I served in the roles of Superintendent and Project Manager, over a geographic area that included several states. From the very first building that was constructed, to the very last, a genuine sense of pride and satisfaction in that final product was consistently maintained. The QUALITY of each and every project was always, without exception, the very best. From 1982 through 1999, I was employed by Ratley Construction, as Superintendent and Project Manager, as well as Vice-President/Director of Operations. These years offered many rewarding experiences, during which I obtained significant and useful lessons and gained invaluable "on-the-job training", which has benefited both me and each of my clients. The sense of pride and accomplishment that I attained throughout this timeframe has endured to this very day, and in many ways was a significant part of the "building blocks" of the next stage of my career path. After working for Ratley Construction for 17 years, I left in 2000 to begin ARC Building Concepts, a company that I am proud to introduce to you at this time. We have undergone consistent and steady growth, and have several examples of commercial construction, which are as follows: Taco Bell (both new construction and renovations); Pizza Hut (remodel and renovations); Italian Pie (new construction in various locations); Quiznos (renovations and remodel); The Coffee Scene (new construction) and McDonalds (renovations at various locations). In addition, from 2000 through current day, other examples of construction include: the Victory Motorcycle dealership, a daycare center, a coffee shop, Golds Gym (new construction and renovations), dental offices (new construction and renovations), medical offices (new construction and renovations), Cape Fear Valley Hospital (renovations), several area schools (renovations), auto dealerships (both new construction and renovations), as well as banks (both new construction and renovations), a photography studio, churches and a major renovation at Luigi's Italian Restaurant, a well-known and popular area restaurant. There are many others, but for the purpose of brevity, I will refrain from attempting to mention them all. The vast majority of these jobs have been negotiated contracts and repeat business, yet another reflection of the very positive relationship that we have developed with each of our clients. ARC Building Concepts is a company that maintains a strict code of quality and one of providing the very best product for our clients. Each of the aforementioned jobs was built, one board at a time, one brick at a time, with excellence, quality, integrity and a genuine sense of pride. My employees share in this principle with me, which has allowed us to develop a reputation of distinction. When I look back at my 30 years of experience in the construction industry, up through today, it is a source of genuine pleasure to know that there is an unbroken line of merit.